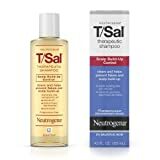 T Gel and T Sal are two of Neutrogena’s biggest selling scalp shampoos. They’re both extremely popular products. But, many people struggle to differentiate between the two. It can be difficult to know which one is better for your personal situation. Whilst some people think that these products are the same, there are some drastic differences between them. The main difference between T Gel and T Sal is that T Sal is stronger, designed for crusty scalps and bad psoriasis. T Gel is better for people who are dealing with mild psoriasis, dandruff and an inflamed scalp. Deciding on which of these options is best for you is not easy. If you have no experience and do not want to self diagnose your issues, then it may be worth visiting a dermatologist. Or an even better idea than this in my opinion is to visit your local hair salon. They have likely seen lots of cases of flaky scalps and may be able to give you an idea of which product would be best for your needs. 2 Can you use both T Gel and T Sal together? Although they are similar, there are a few difference between T Gel and T Sal that are fairly easy to see. T Gel uses coal tar – T Gel uses coal tar to help cleanse your scalp. One thing to note is that the main criticism with many other shampoos is that they don’t work because they get washed off easily when you rinse your hair. This isn’t the case with coal tar, as it is scientifically proven to stay in your hair and continue working for hour after application. T Sal uses salicylic acid – Salicylic acid is commonly used in hair loss treatments, and is one of the main ingredients in T Sal. It helps to break down the hard flakiness of your scalp, which is part of the reason this is more suitable for people with a crusty scalp. T Sal is for resitant cases – If you’re dealing with harsh cases of psoriasis or seborrheic dermatitis, then you’ll want to opt for T Sal. This is because the maximum strength salicylic acid is designed to deal with this. Can you use both T Gel and T Sal together? Yes, some dermatologists have recommended that you use both of these products together. If you are going to use these products together, it’s advised that you use T Sal before you use T Gel. This is because it helps to loosen up and hard flakes that you have on your scalp. T Gel is the more popular option between the two, but that doesn’t necessarily make it the better option. 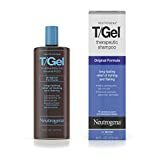 You can use T Gel for everything from regular dandruff to an extremely itchy scalp. It’s generally considered as a good option for anyone experiencing dandruff, especially as Neutrogena are the number one brand when it comes to scalp care. You only need to use T Gel twice a week to start seeing results, though if you see a dermatologist they may recommend that you use it more often than this. Although you might not think it, many dermatologists recommend mixing your shampoos, so it’s okay to use this shampoo one day then use a different shampoo the next day. Of course, you’ll want to check the other shampoo that you’re using too. Whilst T Sal has a higher % of salicylic acid, T Gel has this too. The salicylic acid helps to cleanse your scalp, before the coal tar extract then soothes the itching and helps to stop your scalp flaking. Clinically proven to break down scalp build-up. Whilst T Gel is more popular, T Sal is still sold fairly frequently throughout the US. It’s usually advised to use T Sal if you have a more severe from of psoriasis or other scalp issues. The reason that T Sal is advised to be used for more severe cases is that the higher percentage of salicylic acid is ideal to help breakdown a crustier scalp. If you’re going to use T Sal, it’s recommended that you use it more often than T Gel. This is because it gives the opportunity to cleanse your scalp more thoroughly than with less regular use. Overall, for best results you’ll want to use both of these products in unison. If you don’t want to use both, then you can decide on one depending on how severe your scalp is. For more moderate situations, opt for T Gel. For more severe, go for T Sal.